Things I Did On My 21th Birthday! Merdeka! And its my birthday! Im 21 years old now. I check you guys’ wishes on twitter, facebook and SMS. Thanks a lot. Im so touched. I played some PS3 with my bro, but not for long. What i spent my time the most doing (except for sleeping of course) is setting up my new blog. Will add more content there too! But no worry, i will still update this blog. Thats all i did on my birthday! I successfully get a new blog working and online. Yeah! If you havent wish me yet, better hurry LMAO! Although no cake, no go celebrate like crazy, i still enjoy my birthday a lot! New piece of news today about DJ Max Portable 3. If you havent know whats this about, read my last post regarding DJMP3. I tweeted it, and you may had not read it anywhere else… (since its breaking, news i get from a china website). Yes you read it right! 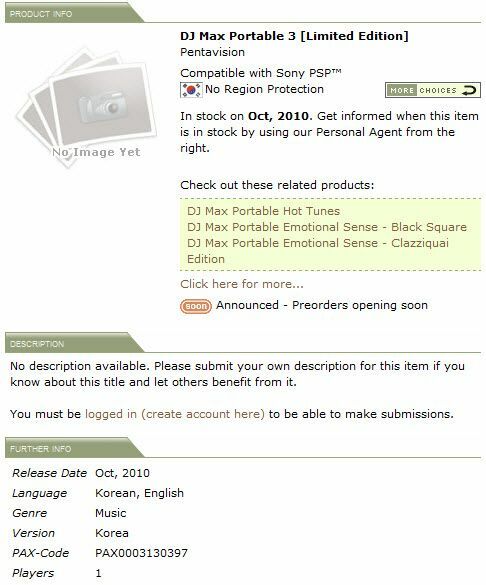 It will be release on October 2010! Available on UMD and PSN. Hey, feel boring? Want some LOLs? When you finish watching this video, congratulation, you had spent 30 minutes on 100 ways to love a cat….